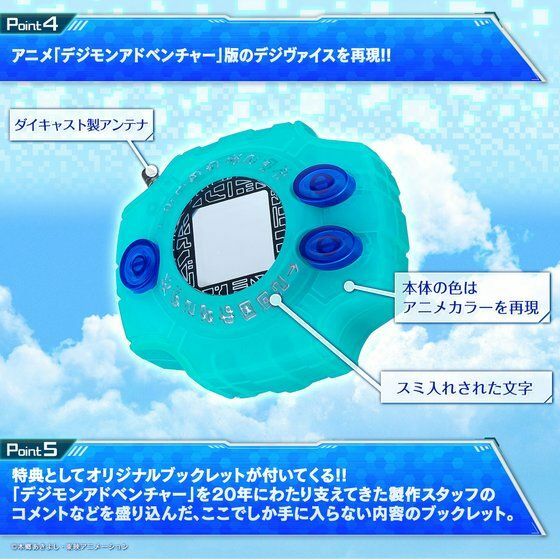 NOTE: Requires AAA battery ×2 (sold separately). 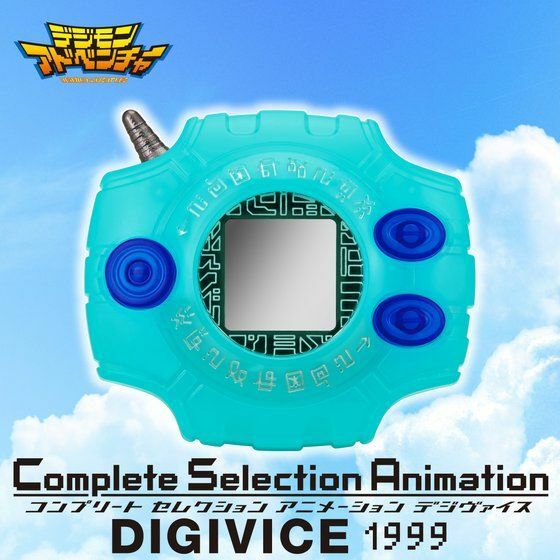 To commemorate the 20th anniversary of the TV animation "Digimon Adventure", aired in 1999 in Japan, the Digivice designed according to the animation is launched for the first time in the role play item series for adults "Complete Selection Animation". 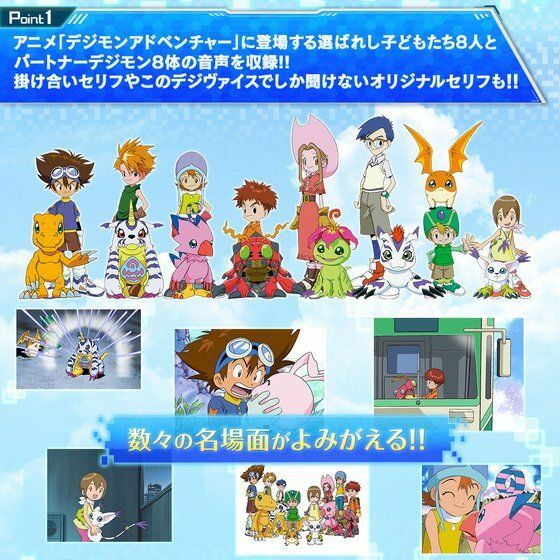 Dialogues of the 8 Chosen Children and their 8 Digimon partners in the animation are included. 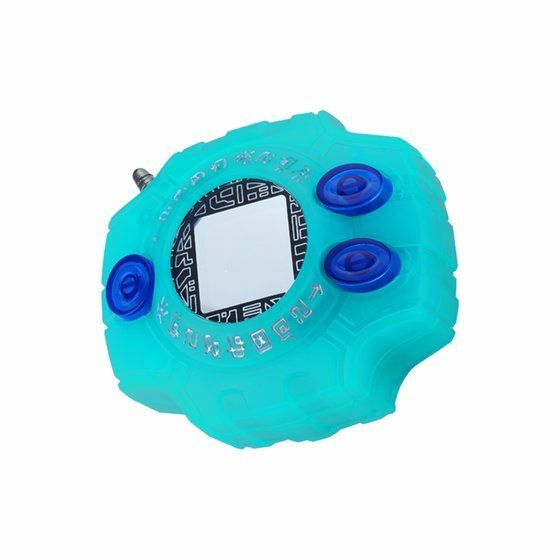 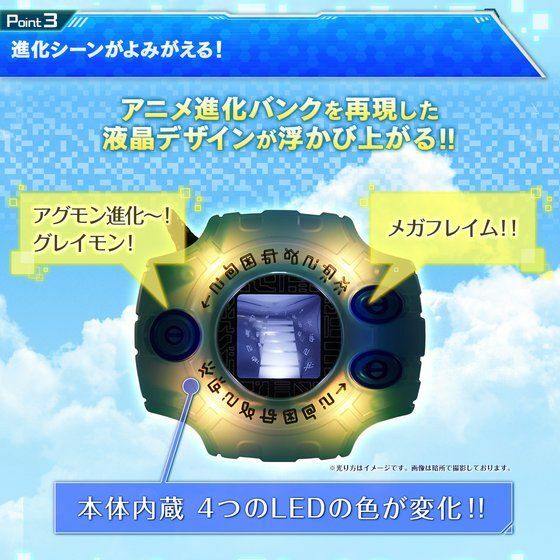 Apart from conversations between the Children and their Digimon partners, you can even enjoy listening to original dialogues exclusively included in this Digivice. 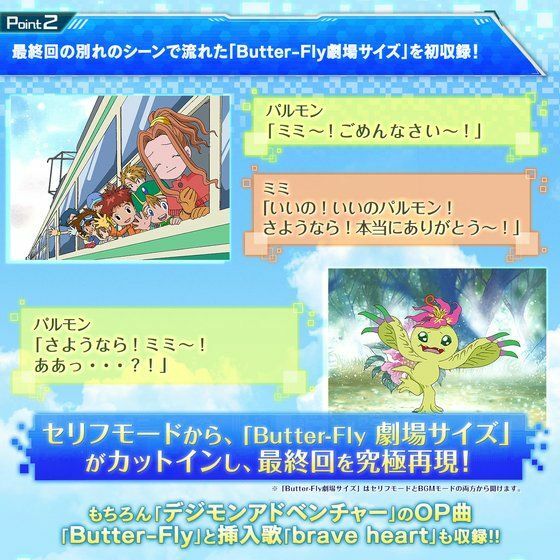 "Butter-Fly劇場サイズ", which was played in the last episode when the Children bid farewell to their Digimon partners, is also included for the first time. 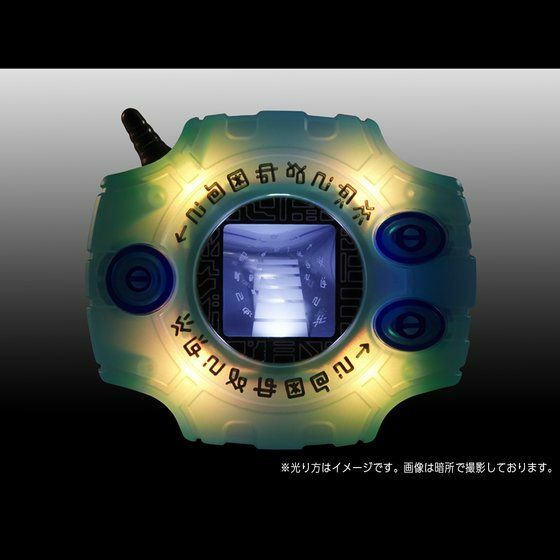 With this Digivice, the nostalgic tear-jerking scenes can be brought to life once again. 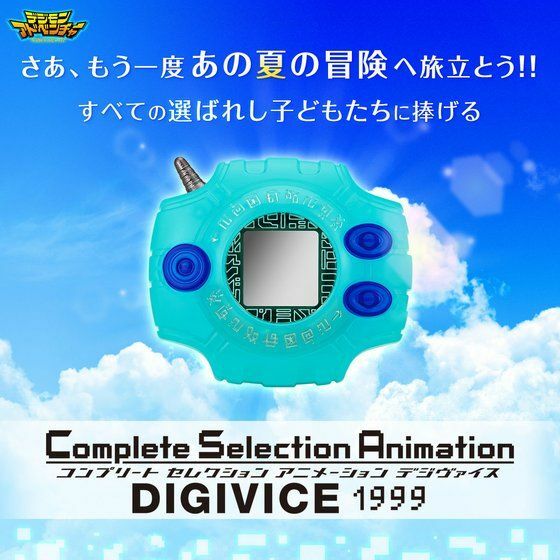 In addition, a special booklet is included, featuring an interview of the animation production staff, the history of Digimon products and more.